The GoFit Ultimate Power Tube with DVD - 25lbs (11kg) leads the retail market for safety. 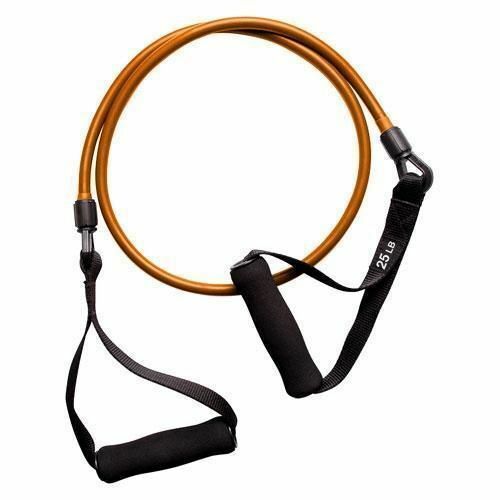 It comes with Safety Cord Technology, making tube exercises more secure and more enjoyable. Inside the tube from clip to clip is a durable coiled cord, which eliminates the risk of snapping if breakage of the tube should occur. With this technology GoFit continues to show its commitment to delivering the best product on the market. for submitting product review about GoFit Ultimate Power Tube with DVD (25lbs).